Are “Ammonia-Free” Products All Truth Or Just Hype? Who hasn’t noticed big brands touting “ammonia-free” hair color, claiming it’s safer and healthier than color containing ammonia. But is this all truth or just hype? Big companies may claim to have “ammonia-free” color, but most simply substitute the ammonia with equally harsh chemicals. They’re “silent” ingredients that act the same way as ammonia, but don’t have the standard ammonia smell. What companies don’t disclose is that these substitutes can often be worse. One common substitute is ethanolamine (also called monoethanolamine, or MEA). MEA is already used in many demi-permanent colors. It opens the hair cuticle slightly for pigment to penetrate the hair, but it doesn’t achieve strong coverage like a permanent application (with ammonia) usually does. Because MEA and other substitutes are less effective for coloring hair, “ammonia-free” formulas use them in higher concentrations to produce the same results. 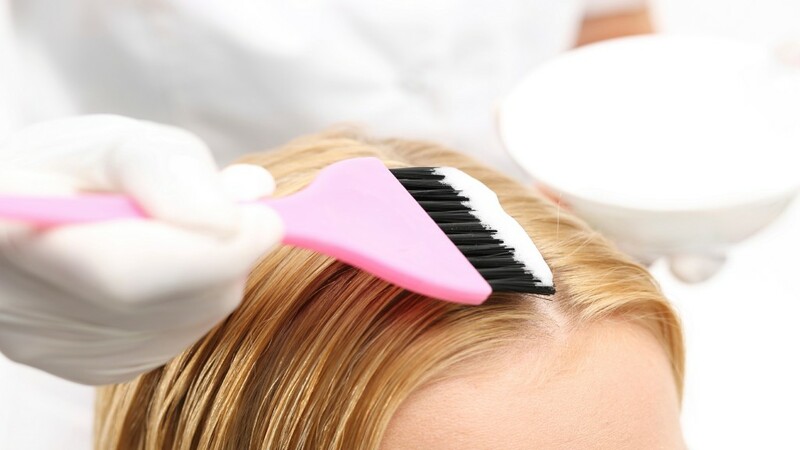 This higher concentration can damage hair and often contributes to increased color fading – which means you’ll need to color your hair more often and end up with dryer, more brittle hair. The conclusion? Brands tout a product as “ammonia-free” but misrepresent it as being a healthier alternative to regular color. Most experts agree that MEA and other common substitutes are not gentler or safer for your hair. If you’re concerned about damage, avoid excessive bleaching and just touch up your roots to avoid applying color all over every time. This will do more for your hair than switching to an “ammonia-free” product. Plus, your color won’t fade as fast so you won’t need to apply it as often. With eSalon, you can color your hair at home under the guidance of experts, for safe, professional results. Visit eSalon.com and Get 50% off for your first order!